#1 If an elderly but distinguished scientist says that something is possible, he is almost certainly right; but if he says that it is impossible, he is very probably wrong. #2 Any sufficiently advanced technology is indistinguishable from magic. 2- It’s possible, but it’s not worth doing. 3- I said it was a good idea all along. #4 I don’t pretend we have all the answers. But the questions are certainly worth thinking about. #5 This is the first age that’s ever paid much attention to the future, which is a little ironic since we may not have one. #6 The only way to discover the limits of the possible is to go beyond them into the impossible. #7 This is the first age that’s ever paid much attention to the future. #8 I have a fantasy where Ted Turner is elected President but refuses because he doesn’t want to give up power. #9 The limits of the possible can only be defined by going beyond them into the impossible. #10 We have to abandon the idea that schooling is something restricted to youth. How can it be, in a world where half the things a man knows at 20 are no longer true at 40 – and half the things he knows at 40 hadn’t been discovered when he was 20? The greatest tragedy in mankind’s entire history may be the hijacking of morality by religion. It may be that our role on this planet is not to worship God – but to create him. Sometimes I think we’re alone in the universe, and sometimes I think we’re not. In either case the idea is quite staggering. My favourite definition of an intellectual: ‘Someone who has been educated beyond his/her intelligence. In my life I have found two things of priceless worth – learning and loving. Nothing else – not fame, not power, not achievement for its own sake – can possible have the same lasting value. For when your life is over, if you can say ‘I have learned’ and ‘I have loved,’ you will also be able to say ‘I have been happy. 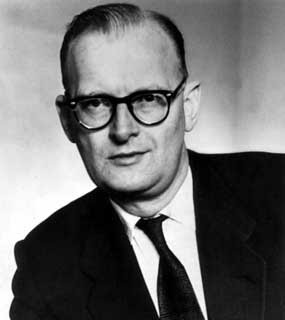 So these were the top 10 best Arthur C. Clarke quotes. Do share the page and comment for more quotes.